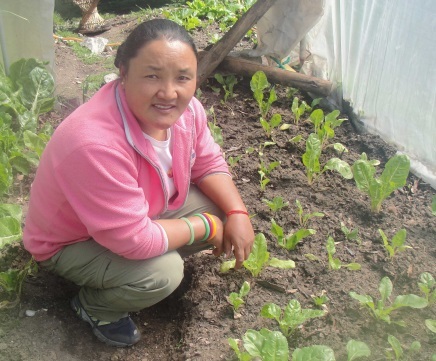 Ang Maya Sherpa from Thamo, one of the several settlements in Everest, has never seen a snow leopard, but many times she has chased away Himalayan tahr, local prey of snow leopard, from her vegetable garden. “If the prey is here, the predator must be somewhere nearby,” she reckons. Villagers in Thamo today have understood the advantage of having snow leopard in their area. 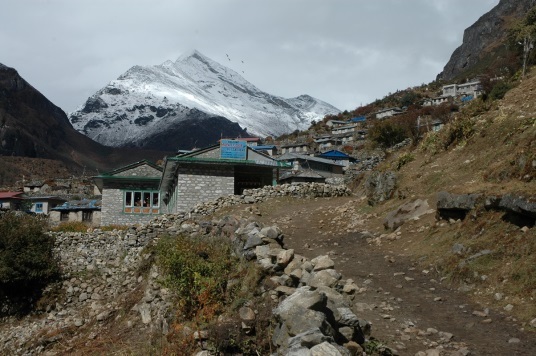 That is why she, along with 20 other enthusiastic locals from Thamo, have directed their energy towards conserving snow leopards for the past three years by establishing a Snow Leopard Savings and Credit group. “To save snow leopards we must conserve their prey and habitat,” asserts Ang Maya, the president of the group in Thamo. In Ang Maya’s experience, after the establishment of the Savings and Credit Group, small monetary problems have been easily overcome. All of the members have used credit, which has earned an income for the group. According to the group’s secretary, Karma Gyaljen, this year alone there has been a net transaction of RS 350,000 (c. $3500). “As the income increases, the Trust grows bigger, and so does the amount given out as compensation,” Ang Maya points out. The group donates 10% of the net profit to local schools for conducting nature education and awareness programs, teaching children about the importance of snow leopard and biodiversity. The local schools have been spending this money by conducting environmental debates, essay competitions, and playing snow leopard street dramas. “The conservation message is reaching doorsteps through these young students,” Ang Maya reminds us.